Are you visiting Norway soon and thinking about embarking on Norway in a Nutshell from Oslo to Bergen? Well, if there’s only one thing that you absolutely must do while you’re in Norway, then that thing would be the Norway in a Nutshell excursion. Without any sliver of doubt. Here’s the thing, if you’re traveling from Oslo to Bergen (or from Bergen to Oslo), there’s no better way to travel. 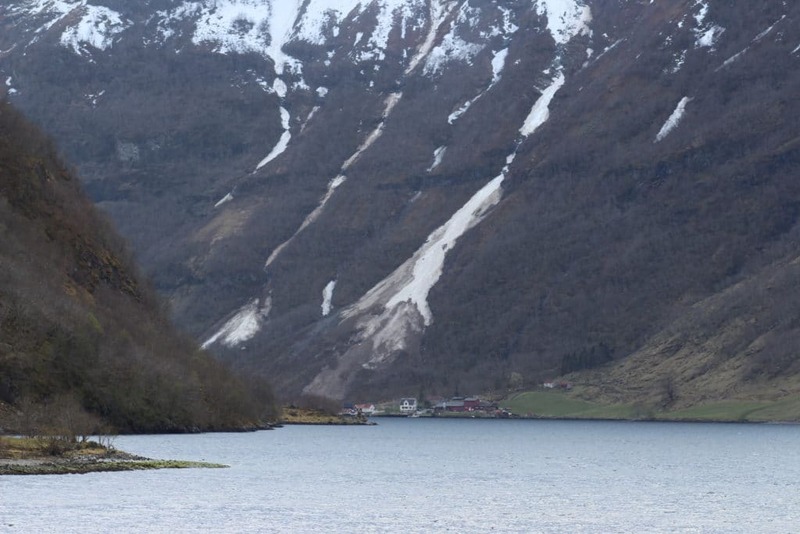 Instead of taking the standard (and boring) direct flight or train from Oslo to Bergen, we opted to splurge a bit on a ticket to the real Norway, fjord Norway, with Norway in a Nutshell. 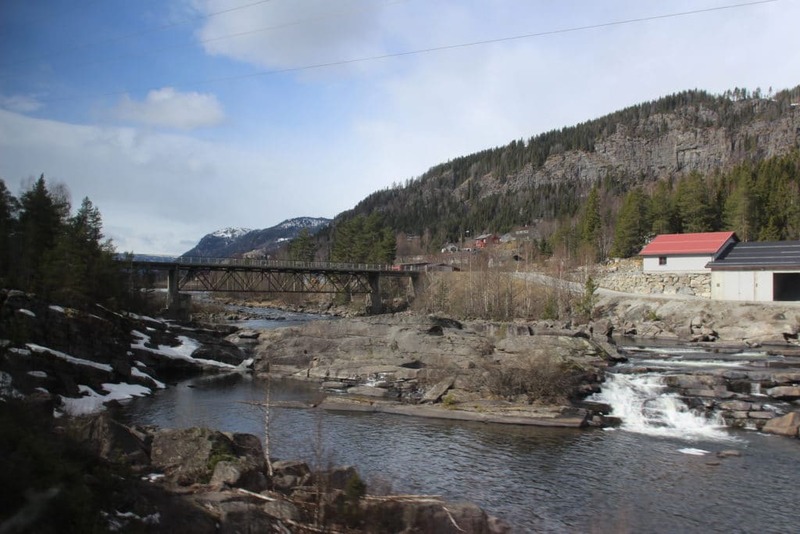 A direct train or flight from Oslo to Bergen is expensive as it is, so when you consider the value of also seeing beautiful Norwegian towns, like Myrdal and Voss, and cruising through one of Norway’s most beautiful fjords, it’s actually worth the money, and then some, to make the trip from Oslo to Bergen with Norway in a Nutshell. This is a day that we’ll remember forever, and if we’d simply taken a flight from Point A to Point B, we’d have robbed ourselves of what was probably our best day in Norway. If we’d have missed out on this once-in-a-lifetime experience to see the boundless natural beauty that is Norway, there hardly would have been a reason to visit at all. On the morning of our Noway in a Nutshell tour, we woke up bright and early, at about 7:00, and caught the train from Oslo Central Station, heading to Bergen on the Bergen Railway. This leg of the trip was about four hours long and it was the “ugliest” part of the tour. 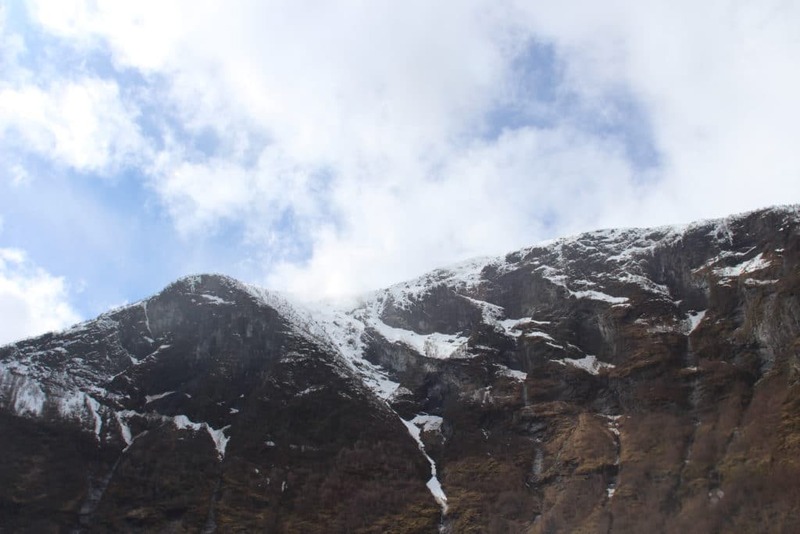 By this, I mean that as we continued on our journey to Bergen, the land became greener, the fjords higher, the mountain peaks snowier, and the water clearer; the further we traveled, the more beautiful the scenery became. I should rephrase that statement, though, because the beginning of the ride was ugly by no means, it was gorgeous, however, the sweeping views of the tall snow-capped mountains and deep blue fjords to come were so unbelievably beautiful, that the beginning of the trip looked like a joke. 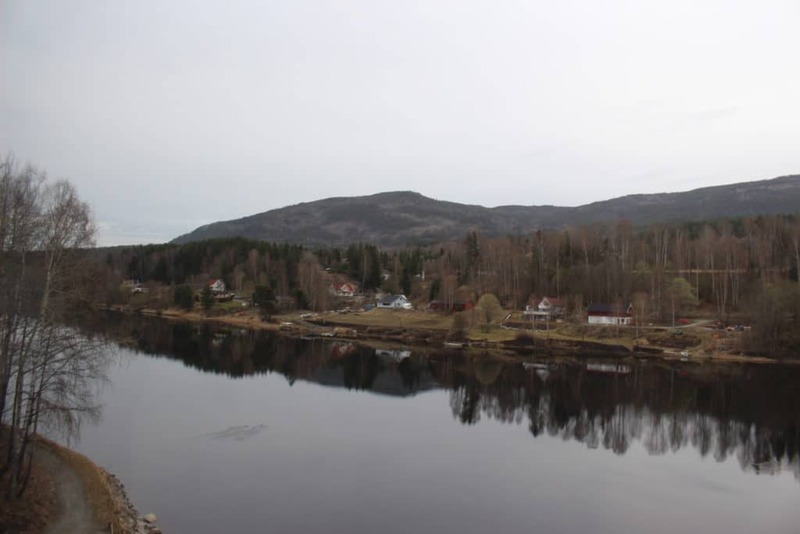 After traveling with Norway in a Nutshell from Oslo to Bergen, I completely understand why this voyage is regarded as one of the most scenic train rides on the planet, and it should not be missed. Even if you have to scrounge your pockets and your bank accounts to come up with every last penny, you cannot skip this tour. 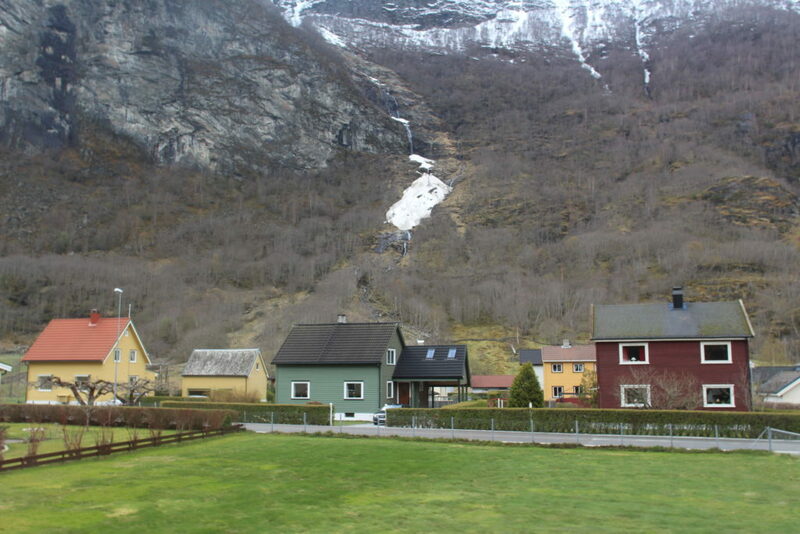 At about 13:00, we arrived in Myrdal and we changed trains for the Flåm Railway. This is where the landscape went from beautiful to mind-blowingly, insanely gorgeous. Did I use enough impressive adjectives? 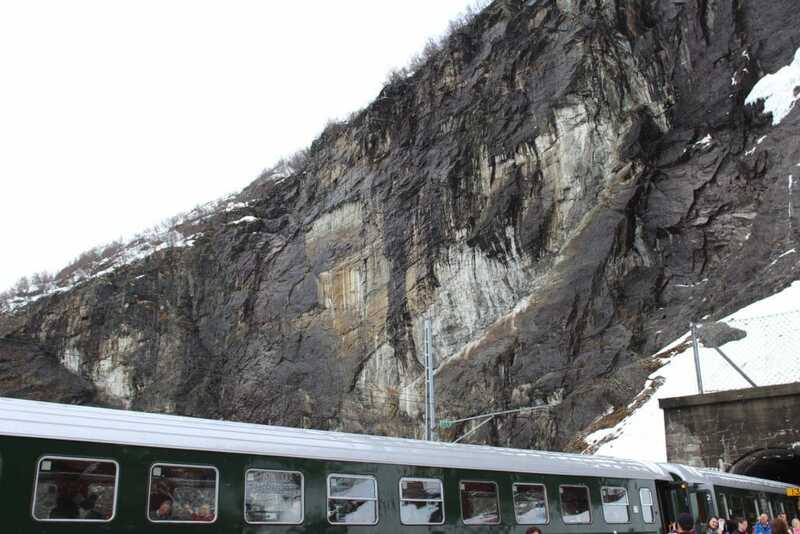 Well, the truth is, it’s hard to explain what I felt and what I saw as we chugged along the Flåm Railway; I would occasionally glimpse up and realize that the mountain peaks towering above me were out of sight, because they were just too tall and grand, and I was just too small. And then I’d gaze down below me to see the most precious Norwegian houses painted in reds, whites, and yellows atop green, lively grass, surrounded by water in all forms – streams, waterfalls, lakes, fjords – and little, old boats waiting to set sail. 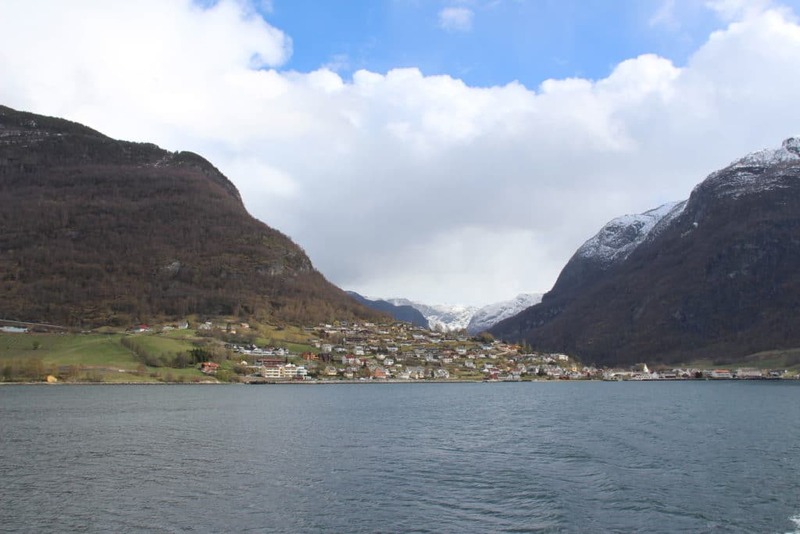 Next, we arrived in Flåm, a darling town that I hope to revisit sometime during the summer to go camping, hiking, water rafting, and canyoning. Anyway, we had a bit of time before embarking on the next leg of the trip, the fjord cruise to Gudvangen, so we perused the little town and grabbed a bite to eat. When we boarded the boat, we quickly chose seats at the front of the boat, though the seats didn’t really matter. 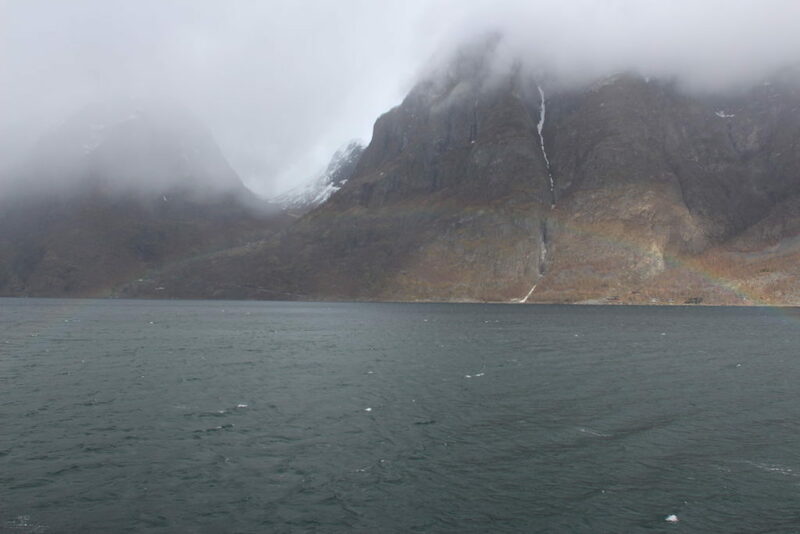 Who wants to sit sedentarily and only see what’s ahead, when you’re cruising through the Norwegian fjords?! No one! You want to look up, down, side to side, front, back, and anywhere else you can, to make sure that you take in as much of the surrounding beauty as possible. 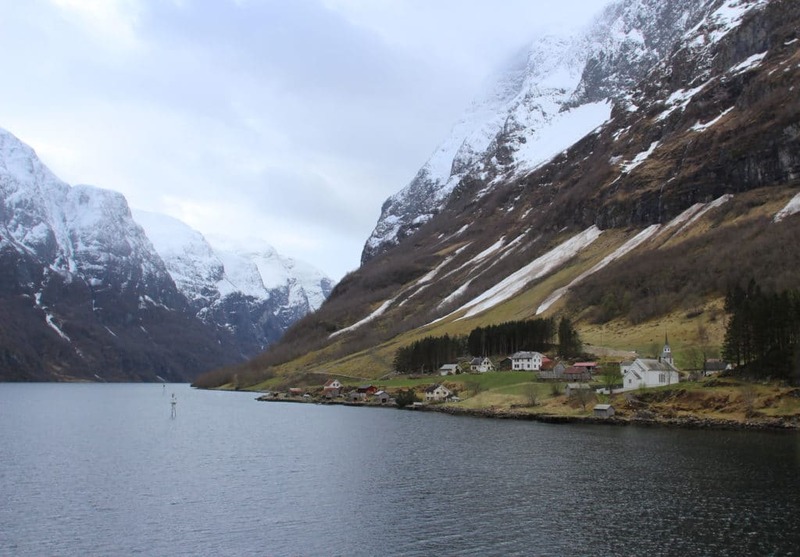 By far, this was the most spectacular part of the tour, cruising through the fjords on deep blue, freezing water, past little towns built atop vibrant, green meadows and between sky-high, snow-dusted mountains. It does not get better than this. Next, we arrived in Gudvangen and boarded a bus that would take us to our last train of the day, riding on the Bergen Railway, to our final destination: Bergen. At this point, we were wiped out, totally depleted of any last drop of energy. It had already been a long day, and we still had a little while to go, but we didn’t dare nap, not in the midst of the kind of scenery that you cannot even imagine in your wildest dreams, the kind of scenery that we may never have the chance to see again. 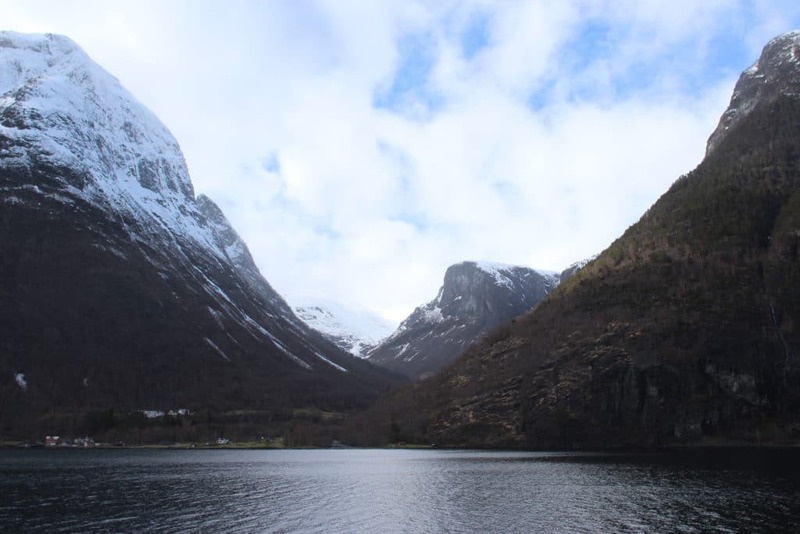 From beginning to end, our journey with Norway in a Nutshell from Oslo to Bergen stunned me. My jaw dropped an unthinkable amount of times in the presence of such unbelievably beautiful scenes that actually exist here, on our planet. Who knew such magnificence was possible? All I know is that our travel day with Norway in a Nutshell from Oslo to Bergen exceeded any expectation I had for my trip to Norway in just one day, and the experience definitely beat out a quick flight or train ride from one destination to the next. There is no better way to see Norway than with Norway in a Nutshell, and as I stated before, if you can only do one thing in Norway, this would be that thing. Superb shots and yeah it is hard to believe that places this beautiful actually exist until you get to see them yourself! Now I need to go! What a way to spend a day! I can see why you guys chose this instead of a flight !! Thanks for the great article Maddy & Maurice! 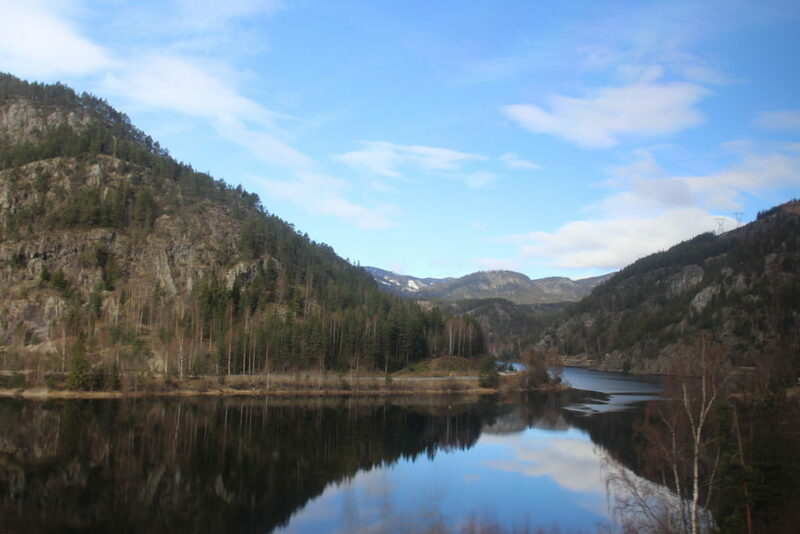 We will be using the NiNS tour as a way of getting from Oslo to Bergen in June, with the beautiful sights being sort of a bonus. One question though, travel-wise, is it going to be annoying lugging all of our baggage from train to bus to boat, etc? Norway in a Nutshell will be one of the best parts of your trip, guaranteed! We had the best time, and the fjord cruise was spectacular. We each only brought a small carry-on suitcase and a backpack, so for us, it wasn’t annoying at all. We traveled super light. It might get annoying if you have huge, heavy bags, because you do have to carry them from train to bus to boat , etc. But no matter what, it will be worth it. This tour is awesome. We’ll just have to deal with our big luggage during the Nutshell tour, oh well. Planning our trip to Oslo-Bergen-Copenhagen is a challenge for sure, we have a lot to cram into 10 days. It will be my first time to Scandinavia, and Europe for that matter! Oh, wow! That’s very exciting. All three of those destinations are simply incredible. We just returned from our second trip to Copenhagen a few weeks ago and we love it there. Hi! I just booked this beautiful trip and j was trying to figure out if there’s any food offered along the way – like on the train or anything or is there breaks to run and get food or should I pack enough food and drink for the day?? Let me know! Thanks so much! Again! Hello! 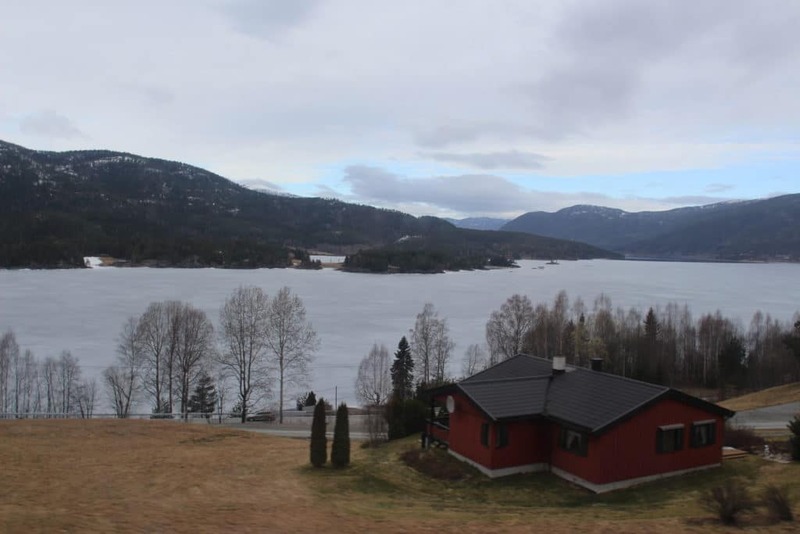 Thanks for your blogs on Norway. They’ve been really helpful. I’d like your opinion on my draft itinerary for June. I’d like to focus on nature and hiking for this trip. 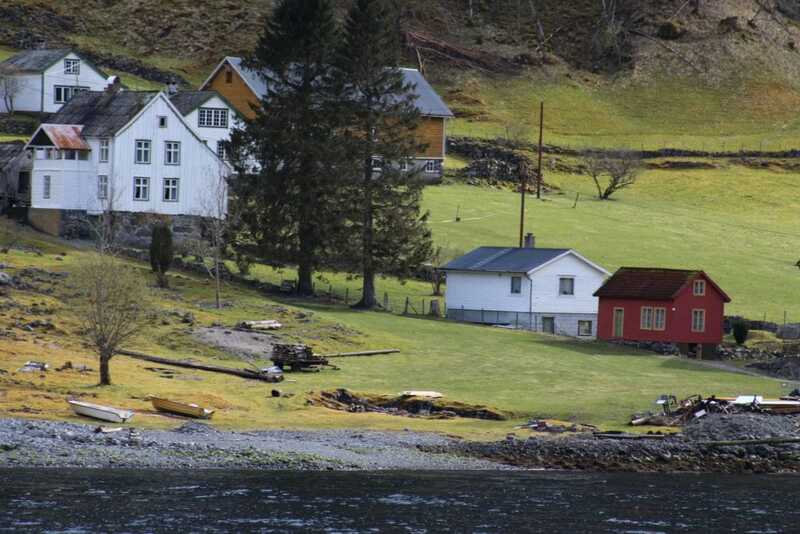 Monday – day tour to fjords (ideally kayak, hike and fjord safari via Bergen Railway to Flam Railway) – since Norway in a Nutshell or Norway Active aren’t guided tours, do I really need to book with them? I was thinking I could book transport, kayaking and safari on my own as we go. Thoughts? 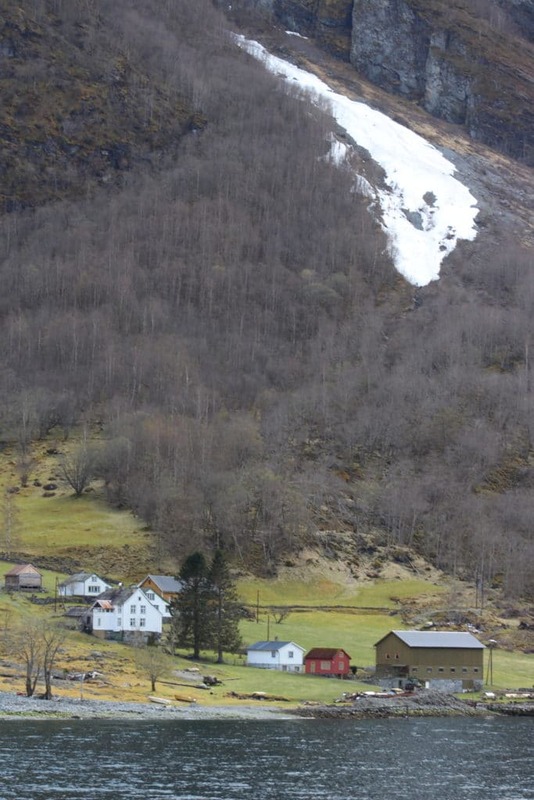 Tuesday – hike between Ulriken and Floyen – I can’t wait for this!!! My friend will depart on Tuesday evening. I’m considering staying longer on my own. Is the extended stay worth it? I feel like I would have experienced the beautiful scenery from train on my tour day on Monday. From what I can tell, the ‘ugly’ four hours wouldn’t have the wow factor and Oslo is not exciting me too much thus far. Wednesday – Bergen Railway to another fjord city to stay the night. Get in some more hiking here. Can you recommend which city to stay in? 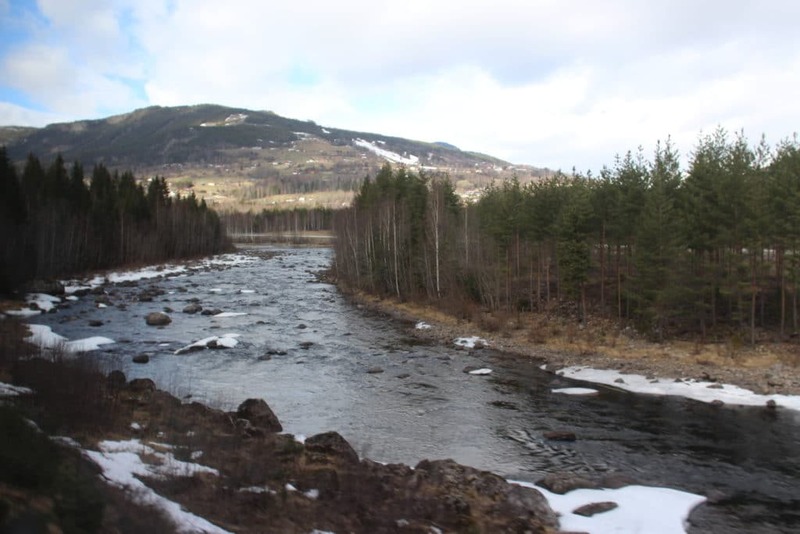 Thursday – Continue train journey to Oslo, have a few hours there before I depart. Thanks for stopping by. We’re glad to hear that our posts have been helpful in planning your trip. Firstly, I would like to point out that we did the Norway in a Nutshell tour in the very beginning of spring, and it was beautiful. So while I did say the first four hours were the “ugliest,” the entire trip was incredibly worthwhile. Now, since you’re visiting in the summer, I would expect the scenery to be even better the entire way. What I’m trying to say is, DON’T make the mistake of skipping this tour. If you have to travel back to Oslo anyway, just do it. You will love it. Even if you think you’ve seen enough of the fjords while in Bergen, is there really such thing as enough? I’m not so sure. Monday- Sounds like a great plan. Tuesday- I’m not so sure as I have not heard of Norway Active. However, I would recommend to go to http://en.visitbergen.com/ and look through the day trips and different kayaking tours, rafting tours, fjord cruises, etc. With whatever you choose, I’m sure you can’t go wrong. Wednesday- Yes! This hike is AMAZING x10,000. You will remember it for the rest of your life. Friday- This is when I’d say you should take Norway in a Nutshell back to Oslo. While there, Oslo has quite a few museums worth seeing, depending on your interests. My other recommendation would be, if possible, to stay another day in Bergen. It’s so charming that if you only have that first afternoon/evening to really explore, you might regret it. Overall though, it sounds like you are headed toward an unforgettable trip. Norway was SO stunning in April, so I can only imagine what it’ll be like in June. If you have any other questions/concerns, please feel free to leave another comment. Oops! It seems that I switched up your days and started your itinerary on Monday instead of Sunday. Sorry for the confusion! Thank you!!! I don’t need to go to Oslo so will skip it. 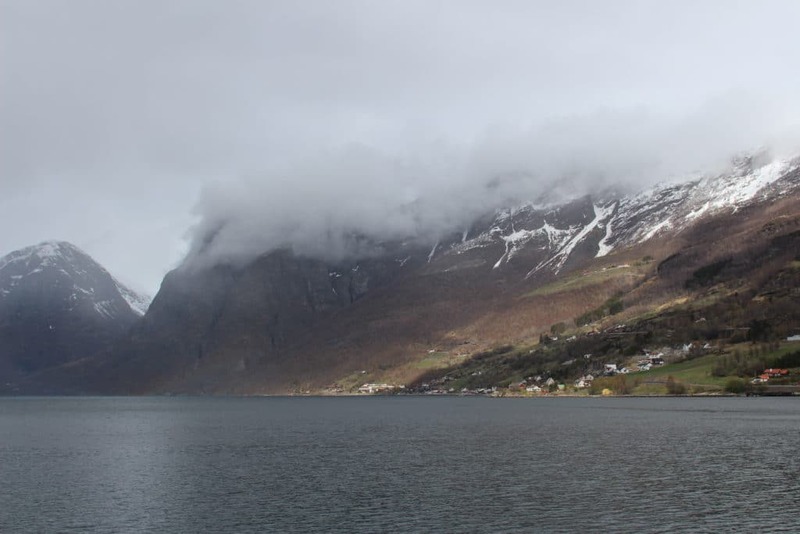 I definitely want to maximize my time in the fjords – agree… How could one ever get enough? Instead of viewing from the train I want to spend more time hiking the fjords!!! So, thanks for putting Trolltunga back on my radar. I initially thought it was too far as my friend is only in Norway Sun – Tues. I plan to be there from Sun – Thurs. did you hike Trolltunga? Would stay in Odda the night before & after. Would we need a car? Hike sounds difficult but very confident in my fitness abilities.. Is it realistic to be up for hiking from Ulriken to Floyen the very next day? Am I missing any other good hiking spots with easy access from Bergen given our stay is limited? Tours with no guide – this seems to be the norm so I have to ask, what is the point? Do you think it would be a pain to book everything (eg transport) on our own? Maybe the cost doesn’t end up being that much different…. Not sure. As we visited Norway in April, the Hardangerfjord was still full of snow and we weren’t able to hike it. We plan to do it during our next summer visit. As for hiking Trolltunga and Fløyen back to back, yes, you will probably be very tired and fatigued. I know that we were after our hike from Ulriken to Fløyen. If possible, switch up your plan so that you can have a buffer day in between. If not, you’re confident with your fitness abilities, so I’d say just go for it! Surely you will only regret not doing it. I’m not too sure about whether or not the non-guided tours are cheaper. I think it would depend on what exactly you’re trying to book. However, I think it’s probably much easier to book them than trying to do it all on your own! As for other hikes, within Bergen there are tons of different hiking trails to enjoy, apart from Ulriken to Fløyen, which are shorter and easier. If you decide not to go to Trolltunga/Hardangerfjord but still want to hike, either hike up to Fløyen (or take the gondola up) and then hike around the different trails there. Norwegian culture incorporates witches and trolls… Some of the trails up there include cool troll sculptures and things of the sort, which make the hikes unique, plus there are different lakes and brilliant views! My girlfriend and I are leaving our husbands at home and heading to Denmark and Norway. One of my questions has to do with Norway in a Nutshell travel because we purchased a eurail pass which means we’re covered from oslo to Myrdal. Can we purchase the other pieces separately? Rail Europe wants to sell us the rest of the NIN travel for an additional $200 which sounds pretty steep. What do you suggest.